Originally created for the Carnegie Mellon 1st & 2nd year MFA Graduate show entitled "Fresh Baked Goods" at Bakery Square in Pittsburgh PA, April 2011. Balloon height and x/y position control the pitch and panning of a treble and bass voice. The tones can be quantized into a certain key or a glissando can be employed for a theremin-style effect. The playback speed of Nena’s 99 Luftballons is controlled by balloon height. The balloons must be kept in the air for the song to play. Feed the machine. The playback speed of Donald Trump & Hillary Clinton's presidential candidacy announcements is controlled by balloon height. 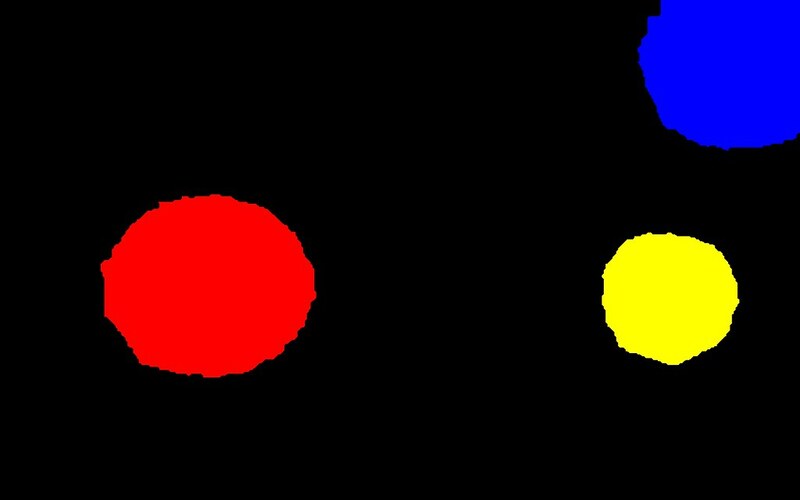 Balloon color is used to track each candidate: red - Trump and blue - Hillary. Built using Open Frameworks, ofxKinect, and OpenCV for balloon tracking and Pure Data for sound generation/playback. Enthusastic children are hard on balloons, so there had better be plenty! 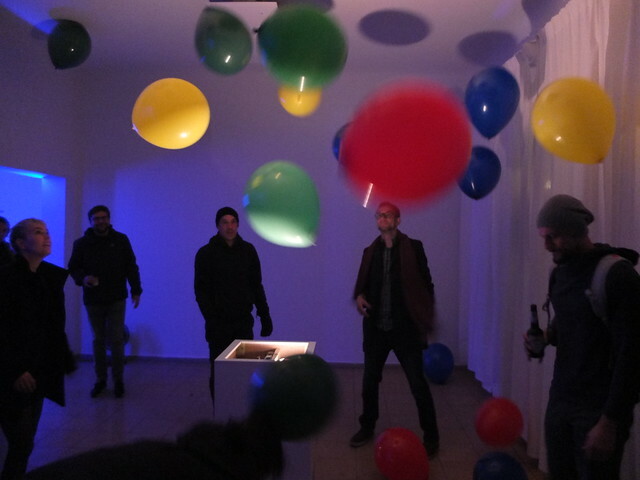 Popping Balloons: The space was very dry and dusty. As a result, many balloons popped involuntarily. This was an unintended feature which kept visitors on their toes.